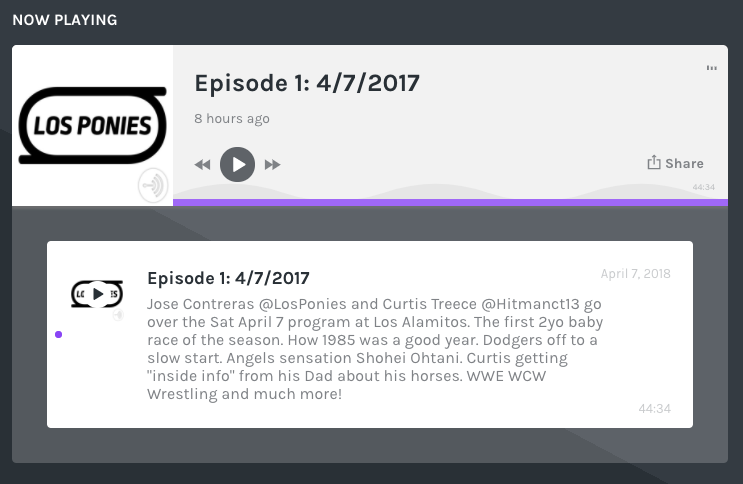 The Los Ponies Podcast is out! I am joined by Equibase Chart Caller Curtis Treece to talk about all the races on Saturday's program from Los Alamitos including our top picks. The first 2-year-old race of the year. Dodgers (me). Angels (him). The old school combo of Agapito Delgadillo and Charles Treece. How he got started working in racing and much much more! 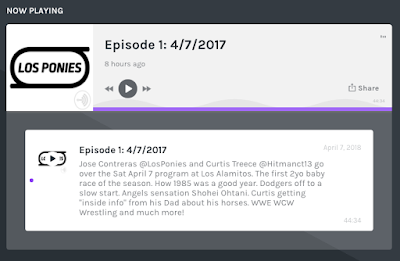 Podcast will soon be available in iTunes/Apple Podcasts, Google Play Music/Podcasts, Overcast and Pocket Casts.